Local-scale landslide susceptibility mapping (LSM) provides detailed information for decision making and planning. 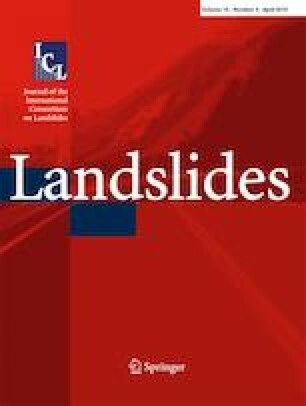 Most published landslide susceptibility maps lack reliable information at the local scale due to the spatial heterogeneity being ignored. To enrich the local-scale information of LSM, multiple information fusion methods for the local spatial heterogeneity and regional trends of control factors are needed. However, no information fusion method has been proposed for LSM yet. In this paper, we developed a new integrated statistical method, named B-GeoSVC, under the hierarchical Bayesian framework for LSM. Specifically, this model applied the GeoDetector method to fit the regional trends of control factors and employed spatially varying coefficients (SVC) model to fit the local spatial heterogeneity of each control factor. Then, the regional trends and local spatial heterogeneity information were fused within the hierarchical Bayesian framework. The B-GeoSVC model was verified using data from the Duwen basin of China, which was in the central region affected by the MS 8.0 Wenchuan earthquake that occurred on May 12, 2008. Under a cross-validation experiment, the prediction accuracy rate of the B-GeoSVC model was 86.09%, and the area under the curve was 0.93, which suggested that the B-GeoSVC model was able to achieve relatively accurate local-scale LSM and provide richer local information than traditional regional scale LSM. More importantly, not only the B-GeoSVC model could be employed as a general solution to fuse both regional and local-scale information for landslide mapping, but also offer new insights into the broader earth science and spatial statistics. Yang Yang and Jintao Yang contributed equally to this work. The authors are grateful to Jinfeng Wang (LREIS) for his valuable suggestions to improve our work and supporting freeware GeoDetector. We appreciate Yan Zhen and the colleagues in the Spatial Information Technology and Big Data Mining Research Center in Southwest Petroleum University for their assistance in this study. We would also like to thank the editors and five anonymous reviewers for their constructive comments and valuable suggestions in improving this manuscript. The work was jointly supported by the National Natural Science Foundation of China (no. 41701448), a grant from State Key Laboratory of Resources and Environmental Information System (no. 201811), and the Young Scholars Development Fund of Southwest Petroleum University (no. 201699010064), the Open Fund of the State Key Laboratory of Geoscience Spatial Information Technology, Ministry of Land and Resource (no. KLGSIT2016-03), the Technology Project of the Sichuan Bureau of Surveying, Mapping and Geoinformation (no. J2017ZC05), and the Science and Technology Strategy School Cooperation Projects of the Nanchong City Science and Technology Bureau (no. NC17SY4016, 18SXHZ0025).